Rajasthan, one of the most picturesque state in India, is culturally very rich and known for its Elephants, Camels, Bird Sanctuaries, rare and endangered Desert Fox and Caracal, Fairs and Festivals, Forts, Luxury Trains, Folk Dance and Music, Arts and Crafts, Golden Sands and delectable cuisine, and of course Royal Hospitality. With a total span of 3.42 lack sq km, Rajasthan is the largest state of India, and bears the only desert of the sub continent � the Great Indian Desert � in association with the Aravali Mountain Ranges. 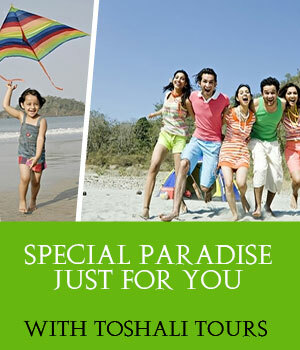 Providing a lifetime experience, Rajasthan Tourism is all about a very memorable and enjoyable experience. Rajasthan India Tourism lets you experience mesmerizing landscape view along with a number renowned wildlife centuries housing numerous birds and animals. The well-known sanctuaries in the state are the Ranthambore National Park, the Sariska Tiger Reserve, Keoladeo Ghana National Park and the Bharatpur Bird Sanctuary. The state also offers ane station or more to most of the luxury trains of India, providing another level of experience of Rajasthan Travel. Air: Jaipur has the only international airport of the state, linking it to Dubai, Muscat, and Sharjah. The other nearest international airport from Rajasthan is Delhi, 260 km far. There are a number of domestic airports in Rajasthan at Jodhpur, Udaipur, and Jaisalmer. Rail:Indian Rail well connects Rajasthan to all the parts of the country. Jaipur, Kota, Bikaner, Ajmer, Udaipur, and Jodhpur are the principal stations of the state, connecting it to Delhi, Kolkata, Mumbai, Bangalore etc. Road:Several state highways and national highways link the state to the states of Delhi, Uttar Pradesh, Gujarat and Maharashtra, and other parts of the country. Rajasthan witnesses extreme climatic conditions. Although it can be visited throughout the year, yet the period between October to March is considered to be decent for tourist activities. Jaipur : The state capital and the largest city in the state, Jaipur possesses a number of majestic monuments and other examples of the royal age. The beautiful city is also known as the Pink City and the Paris of India. Udaipur : Also known as the City of Lakes, Udaipur was once the historic capital of the kingdom of Mewar. Jaisalmer : Nicknamed �The Golden City�, the town once was the Jaisalmer State, and holds an important place in the Rajputana history. Jodhpur : The second largest city of the state, Jodhpur was once the capital of the kingdom of Marwar. Bikaner : Bikaner is famous for its intricately carved Jharokas, camel research farm (NRCC) and Bikaneri Bhujiya. Ajmer : Ajmer is known for the Dargah Sharif of Khwaja Muinuddin Chishti and also for Pushar among the tourists. A large part of Rajasthan is dominated by the Thar Desert and another part exhibits the haughty peaks of the Aravallis and Vindhya ranges, both providing varied flora and fauna situation in the state. The forests mostly rest in the east of the Aravalli range, consisting of about 9% of the total area. You can find here stunted trees, thorny shrubs and some grasses. During monsoons, more variety of the vegetation can be observed.